How adorable! Mommy and me matching skirts! 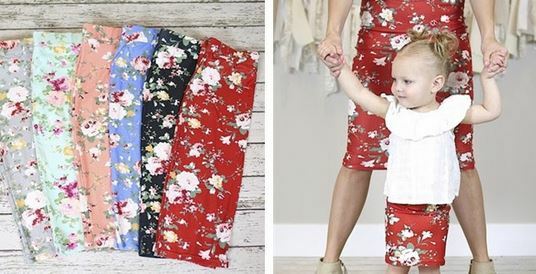 For a limited time, Jane.com has Adult/Child Matching Floral Skirts for $9.99 + $3.99 shipping. Shipping is $3.99 for the first item and $1.99 for each additional item. US only. **Important to note that these are not sold as a set. So if you don’t need a kid one, you can totally get one of these cute skirts for yourself. But if you need a kid one, you’ll have to purchase two. But you save on shipping on the second item!